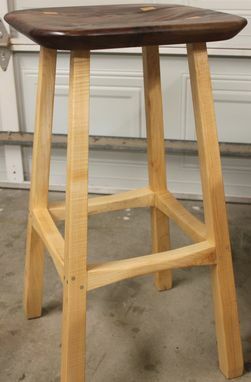 This Bar Stool is large and comfortable. 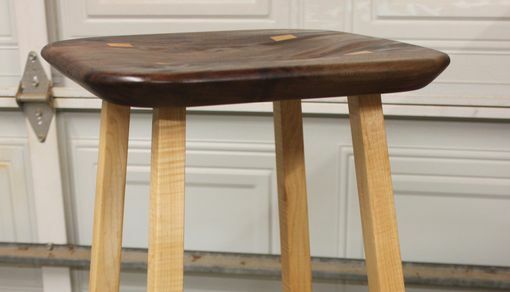 The seat is hand scooped and the foot rests are shaped for maximum comfort. 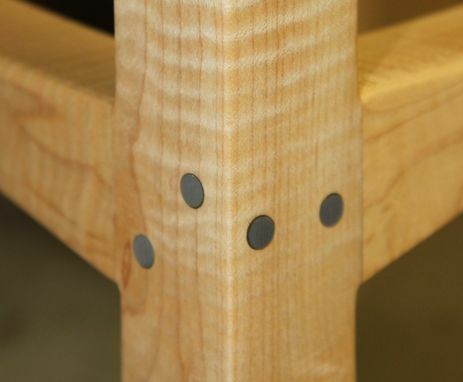 The pins (aluminum or brass) add strength and visual interest to the long tapered legs. 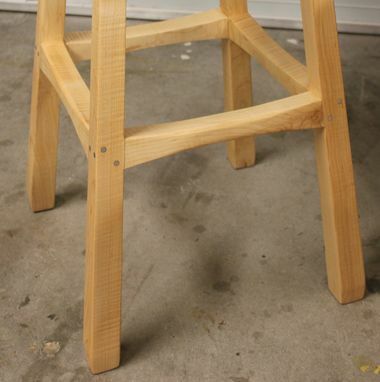 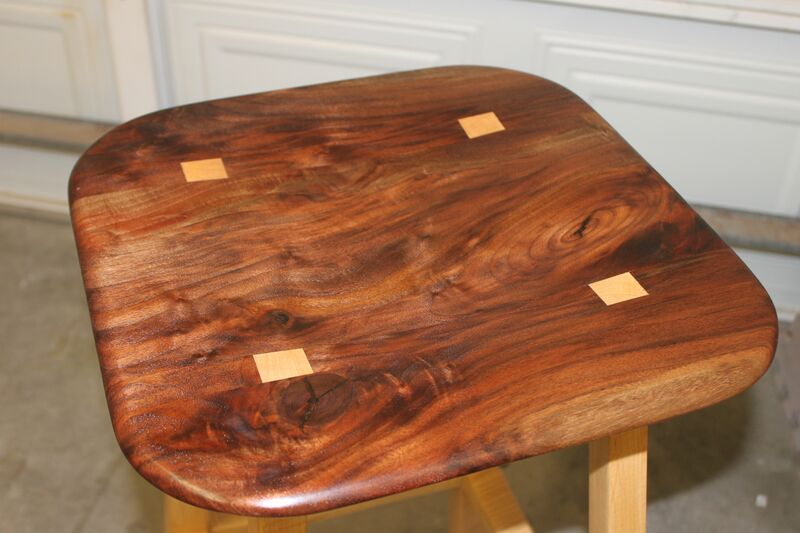 This stool can be made in virtually any wood species to match the existing decor. Measures 16" x 16" x 29".